Aromatherapy is one of the best natural methods for treating a myriad of illnesses from insomnia to headaches. Even if you are not into aromatherapy, you cannot deny that a good smelling is home is something to be desired. Like any kind of treatment, the effectiveness may depend on the tools that you are using. For aromatherapy or for making your home smell good, most people would turn to an essential oil diffuser. As of the moment, there are plenty of options when it comes to an essential oil diffuser. In fact, the choices are so many that it can get confusing, and sometimes frustrating. To help you uncover one of the best essential oil diffuser for you, this article is going to focus on one of the most advanced in its category – the Herba Terra Diffuser. Herba Terra Diffuser – What Is It? Herba Terra Diffuser is a product by Herba Terra Organics. Herba Terra Organics is a company that is known for producing natural products and essential oils. They are a company dedicated to creating products that don’t involve animal testing. They are also a very eco-friendly company, producing products that are safe both for the environment and for human use. For Herba Terra Organics, the Herba Terra Diffuser is one of their best products. Herba Terra Diffuser is a product designed to solve most of the common problems of today’s diffuser. With the company’s experience in essential oils, they have produced something that is cut above the rest. So, what makes Herba Terra Diffuser special? Most diffusers these days are using a cold-water or heating action. Either of these ways uses up essential oils faster compared to the Herba Terra Diffuser. For you, this means that other diffusers will cost you money in the long run. Herba Terra Diffuser offers something different. While the Herba Terra Diffuser still use cold-water action, it integrates a very important piece of technology. What we are talking about here is nanotechnology. 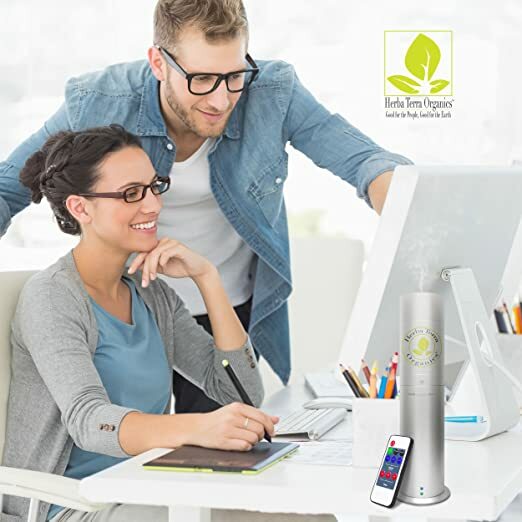 The nanotechnology found in Herba Terra Diffuser allows it to squeeze the maximum usage of the essential oils. What this means for you is that you will be saving money as you don’t have to buy essential oils as often. How much money it can save you? Herba Organics tested that other diffusers will consume as much as 5 times more essential oils. For Herba Terra Diffuser to effectively cover a 1,000 square foot room, it will only need to use 1 ml. of essential oil every hour. That’s a lot of savings. Yet, that is not the only thing that you can get out of this integrated nanotechnology. The nanotechnology integrated into the Herba Terra Diffuser is not only about consuming less amounts of essential oil, it’s also about getting the most of the oil itself. Let me explain. Traditional diffusers, especially the ones that use water, tend to bind the essential oils to the diffused water. While this method works, it has a lot of problems. The main difference with the integrated technology is the way it processes the essential oils. The nanotechnology breaks down the essential oils into very small particles. As a result, the oils are much finer that it is able to float around in the room for longer periods of time, rather than hitting the floor or furniture in a matter of minutes. Also, this means that you will get the maximum amount of the therapeutic benefits of the essential oils. However, that nanotechnology is not the only thing that is great about Herba Terra Diffuser. Herba Terra is especially made with superior materials and specially designed to last. Herba Organics tested this diffuser and it results show that it is able to run for 8 hours a day for 5 times a week without ever clogging. The air pump is also able to run for 8,000 hours before it needs replacement. The company is also generous to provide replacement upon request. All of these means that you will also be saving money as this diffuser is built to last. Up to now, the Herba Diffuser is a great piece of technology, but wait until you read about its other features that are designed to make your life easier. The problem with other diffusers is that you will have little control over the amount of essential oils being released into the air. Having an overpowering aroma in the air is just as problematic as having an almost non-existing aroma. Herba Organics Diffuser Easily solves this problem. With the remote control that comes with the Herba Organics Diffusers, you can choose to increase or decrease the amount of essential oils that is being diffused into the air. For you, this means that you have total control and you will rid yourself the problem of having too much or too few aroma in the room. Another thing that you would love about the Herba Terra Diffuser is the smart system. With Herba organic Diffuser, you have control of the action. 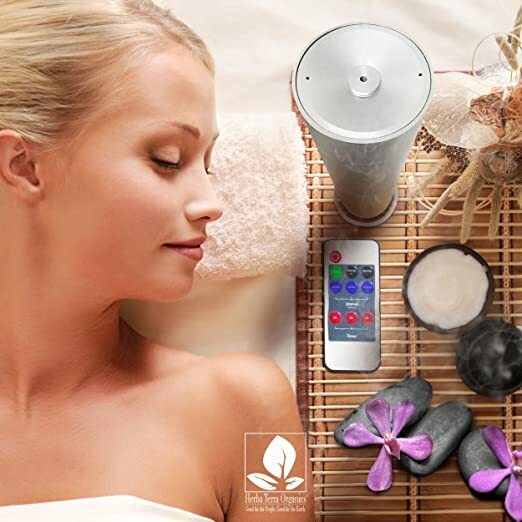 This diffuser comes with varying settings to choose from. You can either let it run continuously, let it run with an automatic shut-off timer or let it run on intervals. This allows you greater control compared to other diffusers on the market right now. If you think that having greater control is awesome, wait until you know how it is easy to clean the Terra Herba Diffuser. One of the most problematic aspects of other diffusers is the cleaning. Most of the time, other diffusers are designed to be cleaned with soap and water. This is a big problem as soap leaves a residue that often causes clogging. 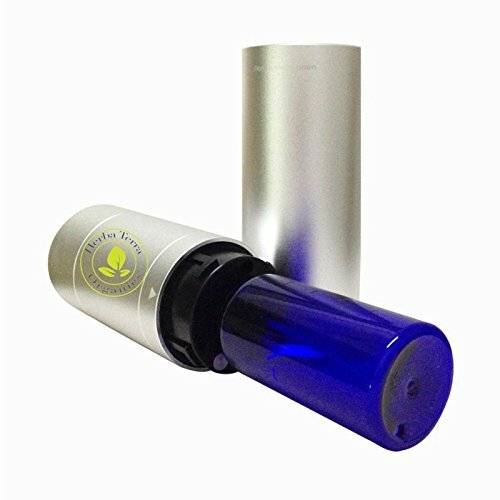 With Herba Organics Diffuser, the system is designed to be cleaned easily and hassle-free. All you need to do is to place rubbing alcohol, without any essential oil, and let it run for 10-15 minutes. That’s it! You are done with the cleaning. It is really that easy and hassle-free for you. Herba Terra Diffuser is a product by Herba Terra Organics. The thing that separates this diffuser is the nanotechnology that is incorporated into the system. The nanotechnology makes a world of difference as it makes it 5x more efficient compared to the average diffuser. It also comes with other attractive features like full control, smart system operation and hassle-free cleaning system.